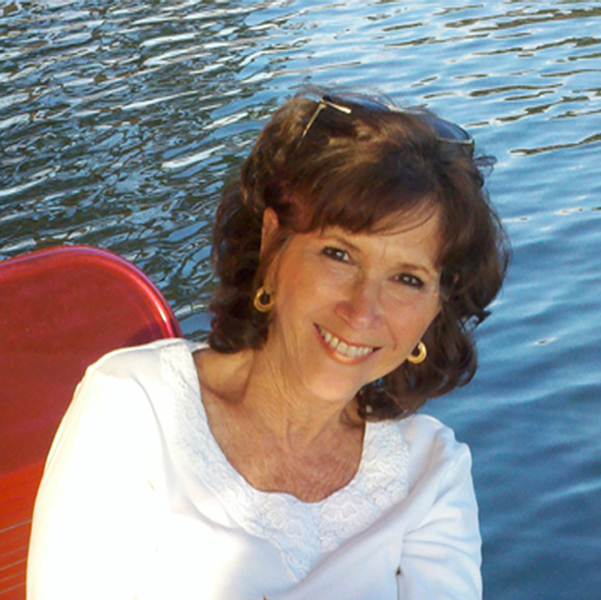 Please welcome author Polly Iyer, who will describe for readers her experience with the Kindle Scout program. 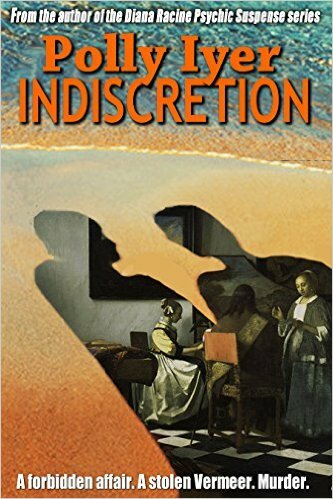 I just launched my Kindle Scout winner, Indiscretion. This isn’t my first book, but after my very first book, my debut written under a pen name, this is probably the biggest deal for me. To win a Kindle Press contract, I first had to be accepted into the program. Then, for the next thirty days, my book had to remain “Hot and Trending,” as much as possible. I tweeted and Facebooked, and posted on the many loops I belong to, which really isn’t that many, to get people to nominate the book if they like the sample read. Those thirty days were very stressful, especially when my book went off the H &T list. I’d give another push on social media and hope my fate improved. When the thirty days were over, I had some stats. I had 370 hours of Hot and Trending out of the 720 hours in the thirty days. That’s a little better than 50%. There were 2.195 page views. 51% came from the Kindle Scout site and 49% came from external links, mainly Facebook. Some came from my website, and others from the blog site, The Blood Red Pencil. Surprisingly, very few came from Twitter. I always wonder how much of my tweets are actually read, or do they just turn into retweets. There’s always been a bit of the “preaching to the choir” element of Twitter, at least for writers. I know the couple of Facebook groups I belong to were very supportive, and most of them nominated the book. Nominations cost nothing, and if the book is finally selected, the nominators get a free copy two weeks before the book is released. This is a good thing and a bad thing. Good because the nominations result in success for the book. Bad because so many people get it for free that when it goes on sale, many of my readers already have it. That means promoting it to readers who don’t know my work and hope they find me. I don’t know what criteria the Kindle Press people use to make the final determination. I do know that people with more Hot and Trending hours than I had weren’t selected, and others with even less were chosen. I imagine part of their decision is based on a writer’s sales history and part on what the Kindle Press people feel has potential to be a good seller. Then came the edits. Mine were fantastic. The editor found a big plot hole that all my previous readers and personal editors didn’t catch. Obviously, neither did I. It required a rewrite of nine pages and became a better book because of it. There were other edits, some a matter of style, others punctuation, some just nitpickers. I accepted those I agreed with and ignored the rest, which was my prerogative. September 1st was release day. As I write this a few days before, I have already accumulated seven reviews from its pre-order status—all good, so I’m happy about that. Some say it’s my best book. I’m not a good judge of my work. I write them. It stands to reason I also like them, or I wouldn’t publish them. I always create characters with a complicated past or present. Characterization is important to me. Besides the crime fiction part, Indiscretion goes deeper and more seriously into a deteriorating marriage, so it almost becomes women’s fiction in parts. That’s a little different for me, and it was also challenging to depict that part of the story and still interweave it into the mystery. Separated from her controlling husband, romance author Zoe Swan meets a charismatic art history professor on the beach and begins a torrid affair. But who is he really? By the time Zoe finds out, she’s on the run with her husband, his jewel thief brother, and a priceless painting stolen from the Isabella Stewart Gardner Museum. With the FBI and the murderer in pursuit, the trio heads to Boston. The only way to prove their innocence is to make a deal with the very people who want them dead. If this sounds interesting to you, you can download it on Amazon. Happy reading. Polly Iyer is the Kindle bestselling author of eight suspense/thriller novels: Hooked, InSight, Murder Déjà Vu, Threads, the Kindle Scout winner, Indiscretion, and three books in the Diana Racine Psychic Suspense series: Mind Games, Goddess of the Moon, and Backlash. Her books contain adult language and situations with characters who sometimes tread ethical lines. Polly grew up on the Massachusetts coast and studied at Massachusetts College of Art and Design in Boston. She lives in South Carolina. Learn more about her at http://PollyIyer.com and feel free to email her at PollyIyer at gmail dot com. She loves to hear from her readers. Thanks for having me today, Marnie. The Kindle Scout process was nerve wracking for me as well, but I never had a moment’s doubt that your book would sail through. And it is a big deal. So congratulations to you, and those other readers will find you. Word of mouth is the most powerful method of promotion out there. People will talk about this book, because it’s THAT good. Thank you, Maggie. As my critique partner, you made my book better by far. I appreciate your confidence and your opinion. I didn’t realize the Scout program included editing services. Good deal! So glad your book won, and I hope that translates into more new readers for you. Yes, Ashantay. In spite of what some people said at the beginning of this program, there was editing. My editor was terrific. More readers for all of us is what we’re after, so I hope you’re right. Thanks for stopping by. Thank you for sharing, Polly. My book, Land Sharks, is in the middle of the 30 day voting period the Kindle Scout Program. It is extremely stressful as you mention. It’s nice to hear some details re the editing period from a winner, just in case I’m lucky enough to make it that far. Nancy, I voted for your book because the beginning pulled me in, and the writing was first rate. Good luck with your campaign. Thanks, Polly, for telling us your experiences with Scout. I read and loved Indiscretion, but have to say Hooked is still my favorite of your books. Not that they aren’t all good reads . . . Thanks so much for blogging on this. I feel fairly lost in the process as Amazon are deliberately vague about it all. I also don’t really want to beg for votes because it could descend into vanity, and might be confirmation for some that the book isn’t worthy if it still fails after a lengthy campaign. I wondered what people thought about hot and trending. How important is it to sustain that? Do we think that Amazon will only review those books that are still ‘hot’ by the end of the month? I don’t have the best front cover in the world, but it does incorporate the novel’s themes and motifs, and so just about succeeds for that reason. Possibly a bit dated-looking. It might not be enough — but I like to remember that the cover isn’t the main event. I understand people saying that the cover SHOULD be perfect… but let’s bear in mind that a professional design process at a publishing house is a complicated game, played by marketing experts. I simply didn’t have those resources available, and can say in truth that I never place much stock in a book’s cover. Still, hopefully mine isn’t TERRIBLE and I haven’t hobbled my campaign. I accept both sides of the argument.